Route setting is pretty simple once you get the hang of it, but a right pain until you do. Here at customholds, we have over ten years experience of route setting at walls around the London area and the south of England. The best approach is not to worry about it, don't worry if it at first turns out to be a rubbish route because you can always change it later. For the purpose of this little tester, we have simulated the board that is featured in our reader's wall section. The wall itself is 10 feet in height X 6 feet in width and at an angle of 20 degrees. Start with your blank canvas or in this case your blank wall. At this point you should have all your t nuts in place, in some sort of pattern or grid. Select the holds you want to use for the route, for this purpose we are using the set of flatties. The flatties all have good edges on them, making for an easy route. Make sure you have enough holds for the route and a few spare. One thing not to do is to lay hundreds of holds out, this will only confuse matters. By using one set of holds the same, you will end up with a pretty consistent route. Now you are ready to start setting. It's a good idea to have a reasonably good hold as your start hold and a good hold as your finish. You don't want to be falling from the last hold after doing your problem do you? It's best to use some sort of creative visualisation. 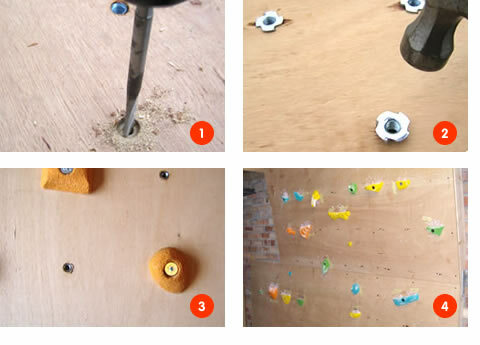 By this we mean visualise your route before putting the holds on. When you have an idea for a route in your mind, you are ready to start putting your holds on the wall. Don't over tighten the holds at this point. Once you have all your holds on the wall, stand back and take a look at what you have done. Visualise yourself going through the moves. If you think you have it right then go tighten your holds up and try the route. At this point you can tweak and turn those holds you are not happy with. Don't get too hung up on the route. A lot of people start by putting a hold on the wall, then they pick out their next hold, put this one on the wall then try that move. If it works they then put on the next hold and try that move. Then go back to the start and try both moves. Then put another hold on, until eventually the route is completed. You get the picture. This approach seldom works, and you will be there all night setting one route. 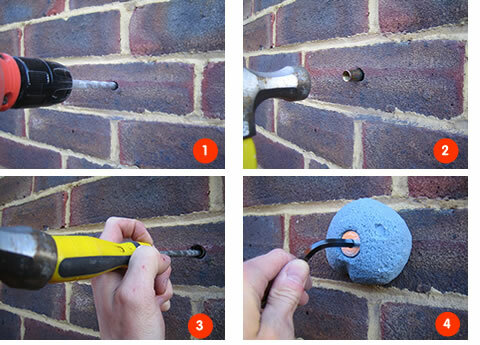 With your board, drill a 13mm hole in it with a drill bit, If unsure then contact a qualified builder. We Recommend that you use 18mm ply for your wood. Once the hole is drilled then place your T nut in the back of the board. 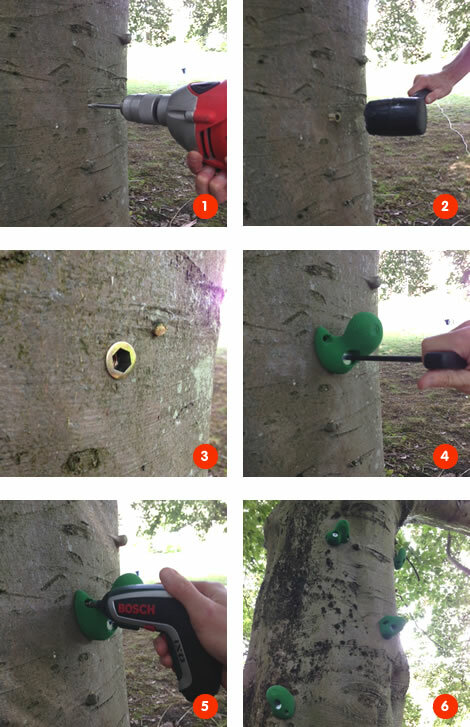 Now place the bolt into the hold and then place that by hand into the hole you have just drilled. Then with your T-bar You can tighten the hold. If you are unsure about any of these steps then please call us or drop us an email. Q: Can your holds be fixed to brick? Q: What are the best holds for a child? Q: What are all the different types of holds? Q: Are your holds ok to be used outside? Q: How many holds do I need? Q: What is the best way to go about building my wall?